Time. Hours inside days inside years inside decades. All passing in a span we call life. Our lives are defined by time. Even creatures which care not for the actual passage of time still rely on its passing for the continuance of existence. What if you had an infinite amount of time? How would you define your life then? Another year has passed and Spring is again approaching. Today, I am once again enjoying the silliness of my Groundhog Day tradition and using the film Groundhog Day as a catalyst for reflection and assessment. 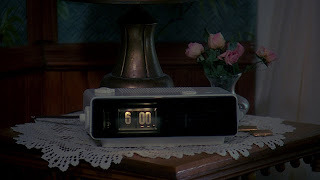 This is my tenth year writing my Groundhog Day reflections. Ten years ago, when I documented my enjoyment of Groundhog Day, I had no idea what lay ahead in my life nor any thought of what transformation lay between then and ten years later. Imagine if you awoke within your life ten years ago but with your current mind in your body. Life then would have an entirely differently feeling and your perception of yourself would be completely different. Now, imagine twenty years of perception... Groundhog Day 1996, but you know all that you do about yourself and life up to this point in 2016. Phil Connors, in the film Groundhog Day, spent near infinity in the same day, but he learned, grew, changed, improved, experimented, and explored through it all. I have many hobbies and thoroughly enjoy finding ways to newly experience life. I consume media (books, films, articles, etc.) like a hungry man at a buffet. I'm sometimes asked how I read, watch, and do as many things as I do. My answer is simple: I never stop. Sometimes a task might seem overwhelming at first; a thousand page book, a thirty mile hike, a mountain of debt, but each challenge becomes smaller once you face it and start into it. Pacing matters, of course; find a rhythm that allows you to consume AND enjoy, but never stop. Don't waste your time with idleness. No more whatever-is-on-the-radio while driving when you could be listening to that audiobook. No more mindless TV watching when you have so many films you want to watch but never start. No more impulse buys when you have a list of things you want to have but haven't saved for them yet. Boredom doesn't come from a lack of things to do (activity), it comes from a lack of action and intention. Sitting and watching TV is only "a waste of time" if you have no intention in what you watch. It's the difference between wandering while lost and wandering while exploring. Time defines us and can constrain us if we do not first define ourselves. So, how would you spend your time, if you had a limitless supply of it? What growth would you seek? How would you change your connections with the people around you? How would you redefine your life? Now, ask yourself, what makes today any different than a day in Groundhog Day? You have an unknown amount of time ahead of you. You might have thousands of days more or only a few. Either way, if you define yourself and take action with intention, you will learn to define your time too.